The feeling of winning a championship can be described as the ultimate euphoria in professional sports. But the emotion that comes from raising a trophy in honor of a fallen teammate? That’s often too overpowering for words. 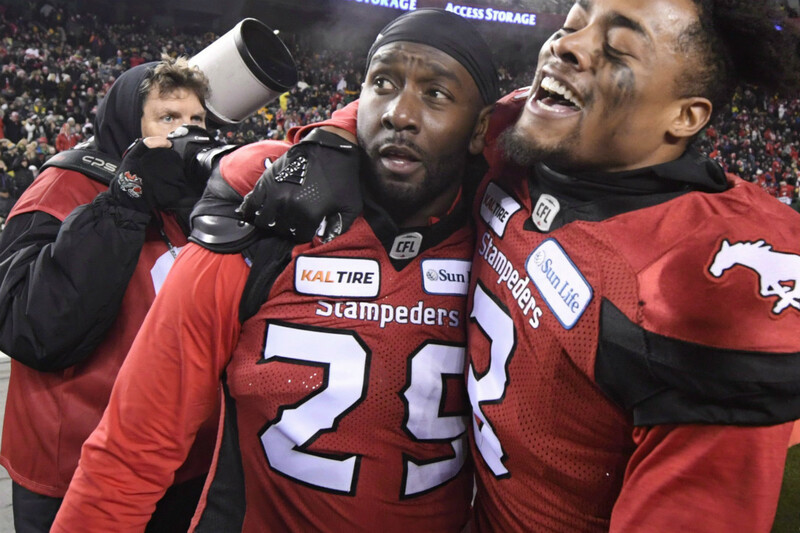 When the CFL’s Calgary Stampeders beat the Ottawa Redblacks 27-16 last week to capture the 106th Grey Cup, the victory was extra special for defensive back Jamar Wall. The 30-year-old Lubbock, Texas, native was one of many former teammates of the late Mylan Hicks, a Stampeders DB who was shot and killed in September 2016. A number of players were out celebrating a regular-season victory that night, when Hicks was gunned down outside a Calgary nightclub. The court proceedings resumed this past Monday, which were purposely delayed until after the Grey Cup. “It was surreal, I remember getting the call from a teammate [about Hicks]. It took a while to set in. I would sit back and constantly miss that seat [in which Hicks would normally sit during meetings],” Wall recalled. Wall, the defensive MVP of the 2010 Alamo Bowl, changed his number from 29 to Hicks’ 31 for the remainder of the 2016 season. “I just felt like it was something I needed to do for him and his family. I think that really helped us through that year; we had a really tough year,” Wall said. Calgary advanced to the Grey Cup in 2016, but fell to Ottawa. 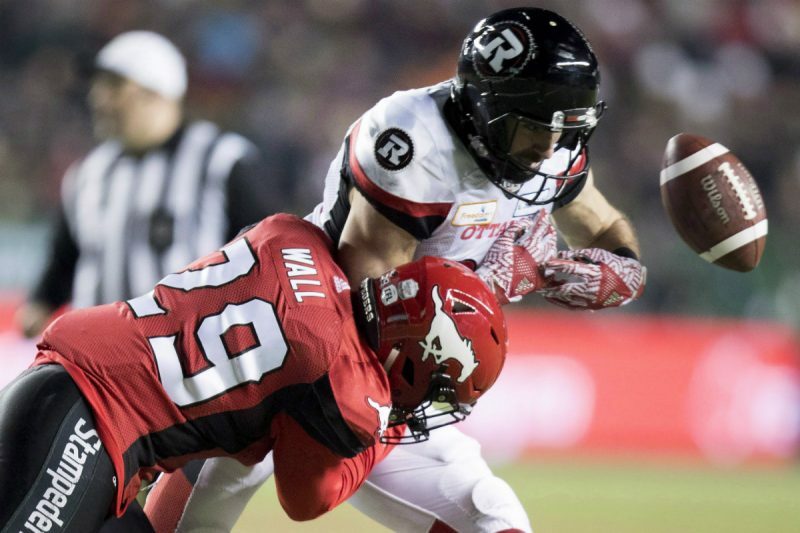 The Stampeders made it back in 2017, but again lost, this time to Toronto. “That (2016) was also the same year my wife and I were going through a divorce. I had a lot going on,” Wall said. Both of his parents planted churches throughout rural Texas growing up, which harvested a belief to never give up on God. “You might not know when, but it is going to work out in the long run,” Wall continued. This year, it did work out for the seven-year CFL veteran. His fourth-quarter interception with 2:39 left helped thwart an Ottawa comeback. And to secure the victory, a Stampeder wearing No. 31 (Tre Roberson), the former number for Hicks, snagged another interception. “Most of the time, the Lord ain’t interested in who wins or loses, but when I saw 29 and 31 come down with the last two balls? I knew He (God) had a hand in it,” said Wall’s close friend and former teammate Keon Raymond. Wall credits his relationship with Raymond and current teammate Brandon Smith for his ability to play the game with integrity at a high level. As for faith, it was planted into his life by his parents at a very young age. “The things I learned in church as a kid, I still remember and have helped me get through a number of situations,” Wall said. Like how to overcome adversity, and to rely on Jesus Christ through the most difficult of circumstances.